When you visit Madison, you’ll quickly discover the distinct benefits of being in a state with a strong agricultural heritage. From breweries and wineries to ice cream and artisan cheese, our craft culture and farm-to-table philosophies are simply part of what we do—and we can’t wait to share it with you! Read on to learn more about opportunities to try tasting & tour experiences, as well as annual events, the next time you’re in town. Not sure where to start? Let us play the part of tour guide! 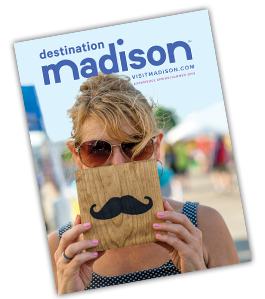 Try one of Madison’s many curated tours that combine food and drink with tons of fun (and a little exercise, too!). Madison Eats Food Tours: Take a food tour by BCycle! Our city’s bike-share program paired up with Madison Eats to help you explore neat neighborhoods where you can taste local, seasonal foods and get a chance to meet the chefs, farmers and artisans who make it all happen. *Note that tickets or reservations must be made in advance for all tours; private and charter events are also offered. If you prefer to explore breweries, wineries, and distilleries at your own pace, read on for a few recommendations. ALT Brew: This brewery has the only dedicated gluten-free brewery and kitchen in Wisconsin. The taproom is open five days a week and features three beers year-round, plus seasonal and limited-edition offerings. While you&apos;re there, try for a high score on one of the games in the pinball arcade! Ale Asylum: Their tasting room has dozens of beers on tap, from new seasonals to hometown favorites like Madtown Nut Brown. Six, on-the-hour brewery tours are offered on Sundays starting at noon. At your leisure, enjoy the two-story patio and a full dining menu daily (11 a.m.-10 p.m.). Capital Brewery: With over 30 years of brewing excellence, Capital Brewery offers both an indoor Bier Stube and a large outdoor Bier Garten that is host to live music and events throughout the year. Experience their 35-40 minute BREW-VENTURE tour. The Lone Girl Brewing Company: Located 10 minutes north of the Capitol, enjoy one of 12 craft beers brewed on-site either on their main level brewpub or on the 4,000 square foot rooftop beer garden. Happy Hour 3–5 p.m. Tuesday–Friday. New Glarus Brewing Company: Self-guided tours of this hilltop brewery are free year-round and Hard Hat Tours are also offered on Fridays. Any time you visit, enjoy tasting room samples or a pint in the outdoor courtyard that overlooks scenic New Glarus. Rockhound Brewing Company: Full service brewery and pub featuring craft ales and lagers made on-site. Offering full-service casual dining with a menu of upscale comfort food; open lunch and dinner every day, Sunday brunch. Wisconsin Brewing Company: This Verona-based brewery offers free tours that take you through the heart of their brewing operations. 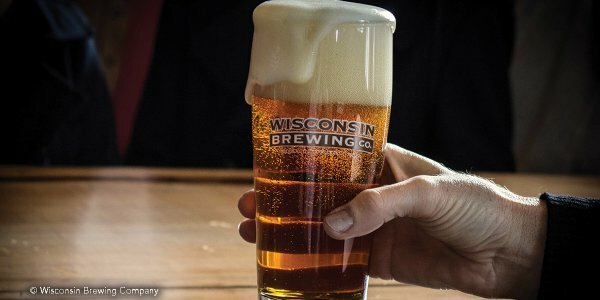 Learn more about their unique educational collaboration with UW-Madison’s College of Agricultural & Life Sciences program by taste-testing a S’Wheat Caroline American Wheat Ale in the brewery’s taproom or at the backyard bar that overlooks a picturesque pond. 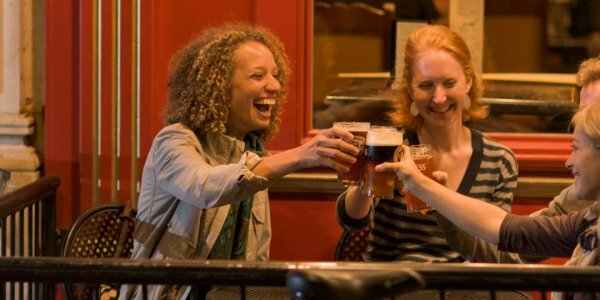 Want to try more local beers from one stool? Stop into HopCat Madison, Wisconsin’s largest craft beer bar which offers a “Local 30” section of tappers dedicated to beers brewed in Greater Madison and throughout the state. Bos Meadery: Mead Made Modern! Bos Meadery crafts unique honey wine with an emphasis is on using quality, local ingredients to create highly quaffable dry and sparkling modern meads. Mead Hall is open six days a week, with tours available on Saturday and Sunday. Botham Vineyards & Winery: Love wine, or new to the wine experience? Let the experts at Botham walk you through the wine-making to wine-tasting process from start to finish! Check out their tasting room, open April-December, Wednesday-Sunday. If you have a party of 15+, after-hours private tastings are available for your group—simply submit a request and share your tasting preferences for a customized event. Botham also offers tours (available by appointment for groups of 15+) that take you through a true vine-to-bottle experience. Cambridge Winery: Try a tasting room experience in two different locations: Cambridge (where there&apos;s also an Event Center) and on Whitney Way in Madison. Both offer locally-produced boutique wines and hand-selected varieties from California&apos;s Central Coast. Wine dinners are also offered! Drumlin Ridge Winery: Explore this family-owned full-production winery offering wine tastings and small plates. Tours are offered daily and available by reservation. Enjoy a variety of wines from their estate vineyard, local Wisconsin vineyards and premium California vineyards. Wollersheim Winery & Distillery: This historic limestone winery has a 160-year history, and is situated on the picturesque southern slopes overlooking the Wisconsin River. Tours and tastings are offered weekdays and weekends, and conclude with a sampling of Wollersheim’s distinctive wines. Dancing Goat Distillery: Tucked in the vineyards of Cambridge, Wisconsin just outside of Madison – the Dancing Goat combines the Art and Science of Distillation from past experience with modern technology. Enjoy a craft cocktail at the Tasting Room today. J. Henry & Sons Wisconsin Straight Bourbon: Every bottle of bourbon from J. Henry is made in small batches and slow-aged a minimum of five years. Visit this third-generation, rustic seed corn farm in northern Dane County for tours, nosing, tastings, cocktails and bottle sales. Old Sugar Distillery: This distillery—started by a UW-Madison grad—takes its name from Madison’s history of beet sugar production and as such, the spirits produced use many local ingredients. Tours and tastings are free (Thursdays-Saturdays), but arrival prior to 7:30 p.m. is encouraged. State Line Distillery: Wisconsin&apos;s newest grain-to-glass distillery and cocktail lounge featuring vodka, gin and craft cocktails. Gather around the table, the back patio, or the bar and enjoy a different kind of cocktail experience. Learn more about tours and cocktails. Yahara Bay Distillers: This family-owned business was Madison’s first small batch distillery and today, produces more than 20 products. Sample them all at the Public House tasting room or try a tour (free on Thursdays). Private tours are also available by appointment. Wollersheim Winery & Distillery: Distilling at Wollersheim dates back to the 1800s but after the Prohibition, Wisconsin wineries couldn’t legally distill until 2009. In 2013, Wollersheim released its first Coquard Brandy and today, Spirits Tastings are offered daily. On weekends, try the new Guided Tasting Experience. 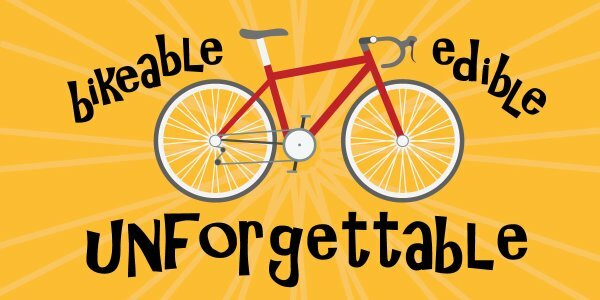 Take touring to another level with tantalizing tasting events. Madison features a fantastic festival scene. If you like beer, food, or even mustard – there&apos;s a festival for you.